It appears the sky has fallen down. 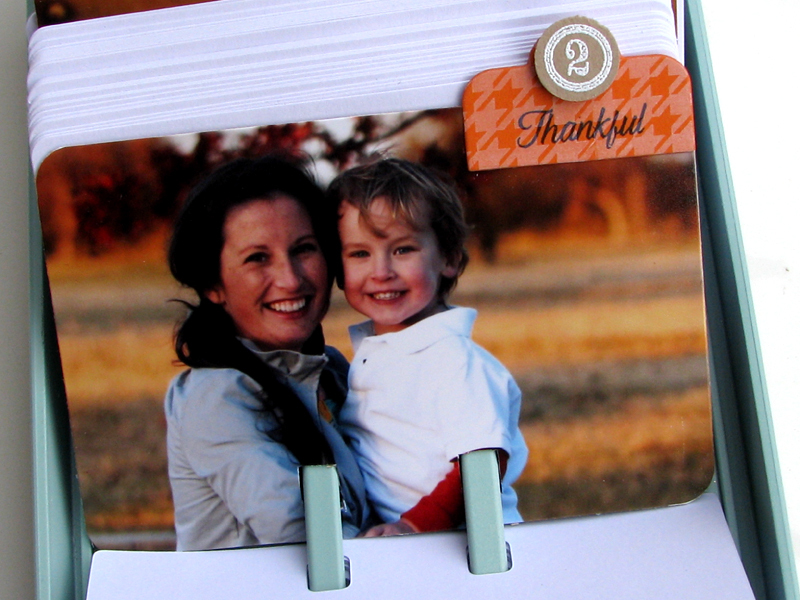 A rolodex-turned-family-gratitude-journal to be exact. 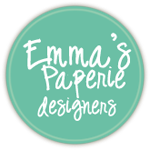 It's still countdown week at Papertrey Ink and today's group post features a brand new set from Dawn McVey... Gratitude Journal. I invested a whole $1.49 in this beauty. I considered taking a before picture, but I figured you guys could all put those creative imaginations to work and remember the uninspiring black plastic base with weird semi-clear grayish lid that is the "vintage" rolodex. 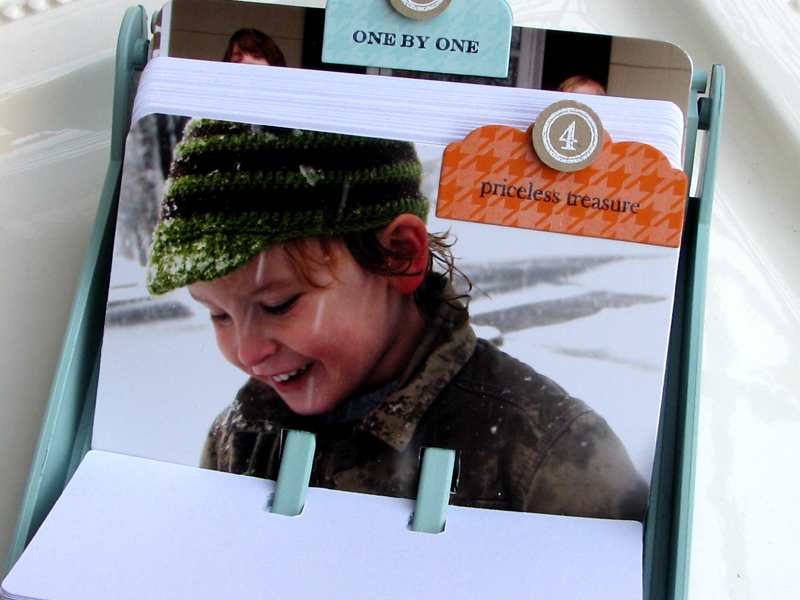 vintage rolodex gets a whole new look. Since I'm picturing this project being handled daily, I wanted to keep the case simple, but pretty. I added a title strip that is embossed with one of the Gratitude Journal sentiments and stamped with a new Background Basics: Houndstooth image. 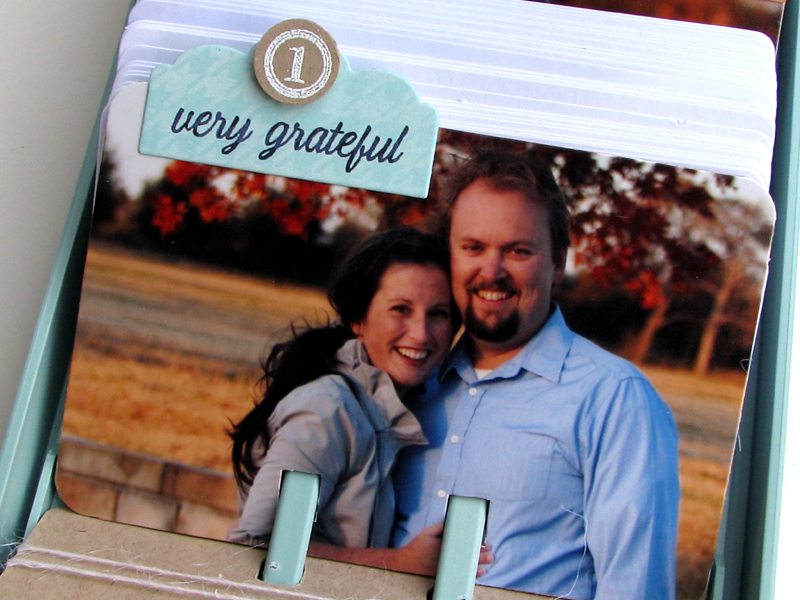 When embossing a sentiment over a background, you'll get a much more clean image if you emboss first. That way you won't have to worry about the embossing powder sticking to the background image as well. For this picture (and all of the picture dividers), I adhered the picture to a cardstock panel, then used one of the existing dividers as a stencil for tracing and cutting the picture into a divider shape. Next I needed to figure out how to create the holes at the bottom. There is an actual rolodex punch available at office supply stores, etc, to punch the two rolodex holes at the bottom, but because I didn't picture myself using that tool outside of this project, I just did my best with a small rectangular hand punch and an exacto knife :) It's not perfect but it definitely works. I used StazOn ink to stamp two of the Gratitude Journal sentiments directly on the picture. I thought adding the year was a fun touch as well. I really love how the tab, buttons, and houndstooth are working together here... elegant, but still fun. Next up... the "chapters" in this little journal. Brian's tab is #1 (that would be Brian; he's on the right :), then mine, then each of the kiddos. I also choose a a favorite picture of each person for each tab, just to make it more fun. and, of course... more Houndstooth. I can't stop with the Houndstooth. It is an issue nearing therapy levels. 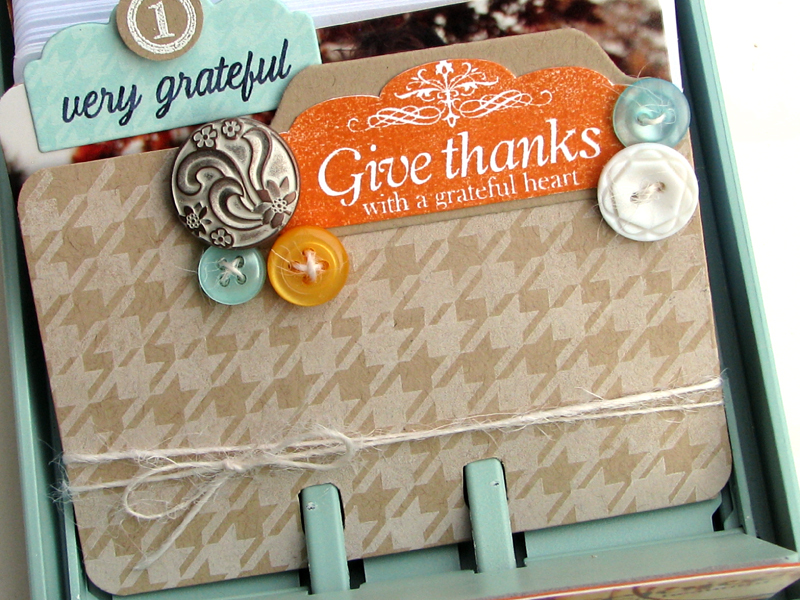 For the love of all that is crafty, add Background Basics: Houndstooth in with Gratitude Journal this month. And then join me in therapy. Each card is stamped and ready to go. I've already got a spot in the kitchen picked out for our new journal. I can't get over how clever you are! This is such a fun project... I love the idea of kicking off your day with an activity like this. But reflecting back on your day at dinnertime would be just as impactful. :) Great project! Oh. Wow. I love it!!! I know of at least two abandoned rolodexes (rolodexi?) in our supply closet at the office. I'm asking for them!!! What a fabulous idea! And I love the thought of having everyone do it at dinner time. During school would be great, too - but at dinner, you have the entire family assembled and everyone wrapping up their day - a great time to reflect on the goodness of God during that day. Love it!! Oh I love this collaborative effort you brought into your gratitude journal. 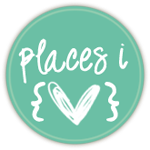 What a treasure to have the everyday scribblings of your kiddos in one spot...I see giggles and tears and warm fuzzy feelings in the future for sure. PS...You can take it with you to therapy! Jess this is just such a beautiful project and idea! I love the idea of being able to look back at what my family was grateful for at a certain time in their lives! You have a beautiful family and I know you will all treasure this! P.S. I can totally relate to the houndstooth love - I can't wait to get this set! :) And I am sure I will join you in therapy too! 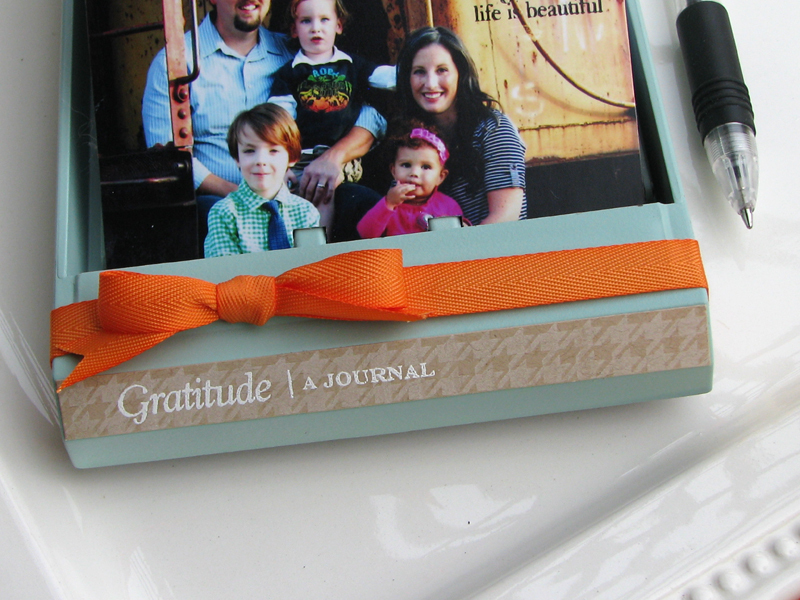 Gorgeous pictures of your family and what an absolutely wonderful gift for your family! Oh, this really resonated with me today. What a fabulous idea to incoroporate at dinner time as we all sit down together. Absolutely fabulous! This is the best use for an old Rolodex I've ever seen. I just know I have one somewhere in this house; now to find it! This is one of THE best altered rolodex card holders I have EVER seen!! I hope you alter more things in the future! :) It's beautiful and brilliant and I'm totally going to case it! Great idea! What a beautiful activity to do together. I made gratitude journals for us and the kids a few years ago but haven't written in them in a while. Time for a gratitude makeover! 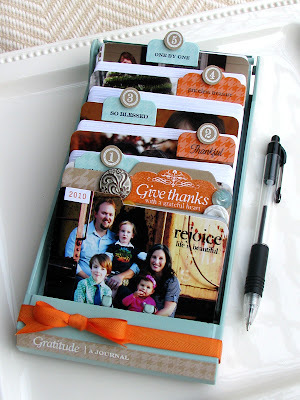 Love, love, love this idea!!! 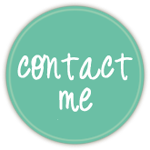 I too am now on the hunt for a vintage rolodex....and I've seen a few recently! Thanks so much for sharing! This is just adorable!! Love your idea! Well that's just amazing with a side of awesome sauce, Jess! So unique, and then you went and carried out the whole idea to perfection. The pictures are an amazing touch, your family is so beautiful! 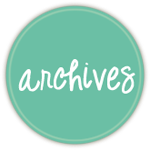 Thanks so much for sharing your humor and creativity with us each month! Oh wow, Jessica!! Your gratitude journal makes me think of my middle daughter. She would love something like this because it's just enough space to record a few thoughts. A big page with lots of blank space makes her run away! Love the refurbished look, so glad you gave this refugee some love.LOL. 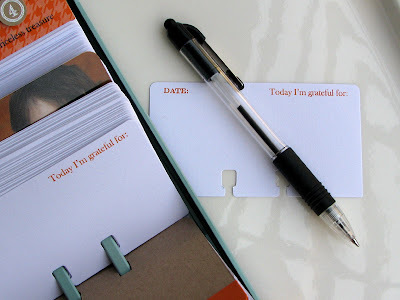 Gratitude Journal has to be one of the most versatile sets released this year!! too cool, I love it! such beautiful pics of your family! 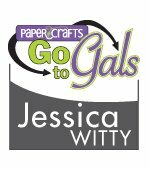 Jessica, this is probably one of the most beautiful and touching papercrafting projects that I have seen in a long time, if not ever. I love everything about it, including that it seems pretty easy to do. Your family is gorgeous and I hope they like filling those cards for you! this is really gorgeous, Jessica! I love all of your family photos too! you have a beautiful family! Absolutely amazing project, Jess! 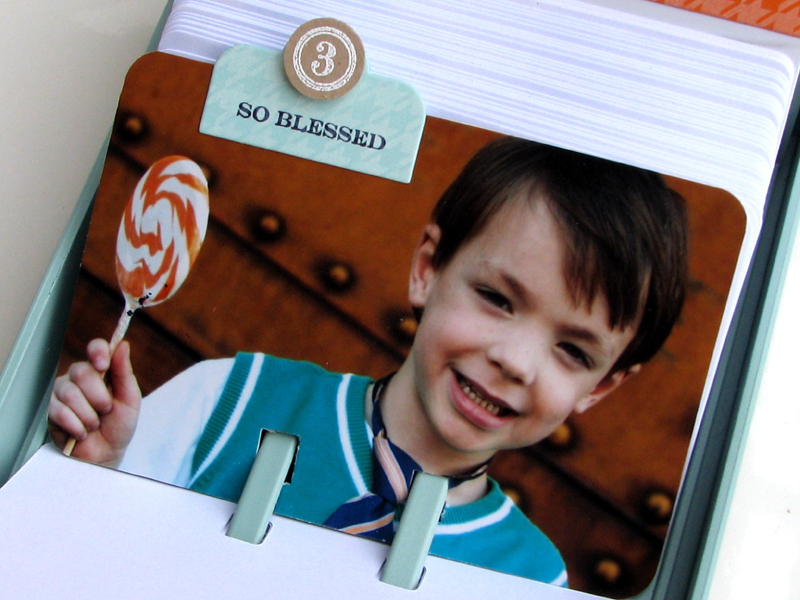 Love the idea to recycle the Rolodex, love the colors you used, and those photo dividers are priceless! Geezzz! I have gotten rid of some of these--now I'll have to go thrifting to find another. This is a wonderful project Jessica. amazing project with great photos of your sweet family! This is simply inspired! Just wonderful. I hope to liberally copy this idea. :-) So grateful that you are part of the PTI team. WOW! I love that you reused a Rolodex for the journal. It's a great piece to add to a side table in your home. 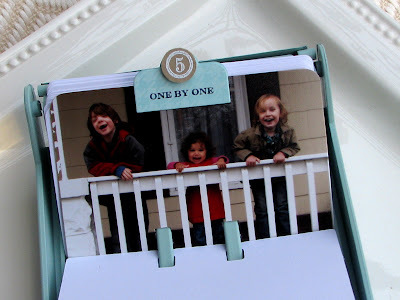 Such a sweet project and perfectly designed! Beautiful, wonderful design, and so doable and usable! So... maybe your son and daughter write theirs in the mornings, then all share at dinner? However it goes, what a wonderful way to show them how the Lord blesses us! I'm thinking this might even be workable for teenage sons... hmmm. What a wonderful shape of a journal this is!! Really great!! Pretty colors!! Well, aren't you just the CLEVER one!!! Well done!!!! i am humbled by your brilliance!! Lovely family photos. Wonderful project. So inspired. This is phenomenal!!! 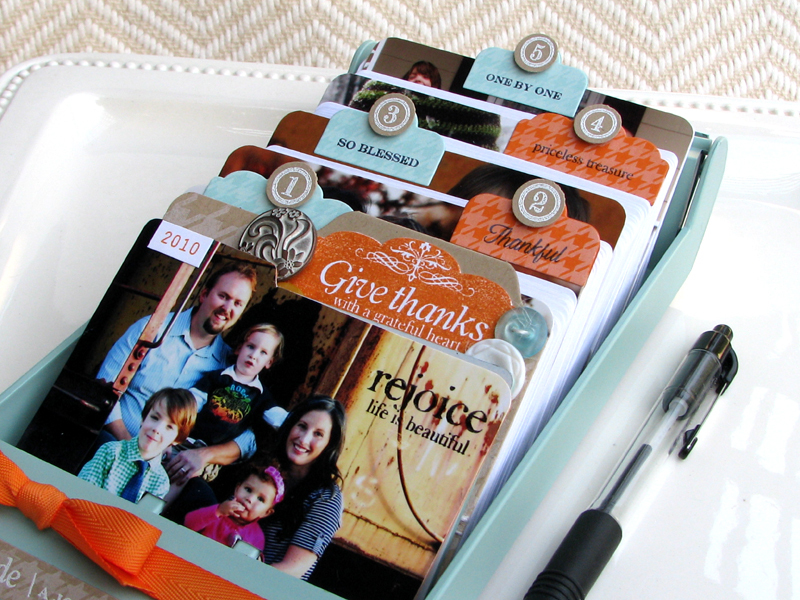 I love every little thing about this altered project... Must.find.rolodex. This is a great project. I love it and you will be creating may family memories. Thank you for sharing. This project, your cards and your hole blog are really great!! I love how you conceptualized this. 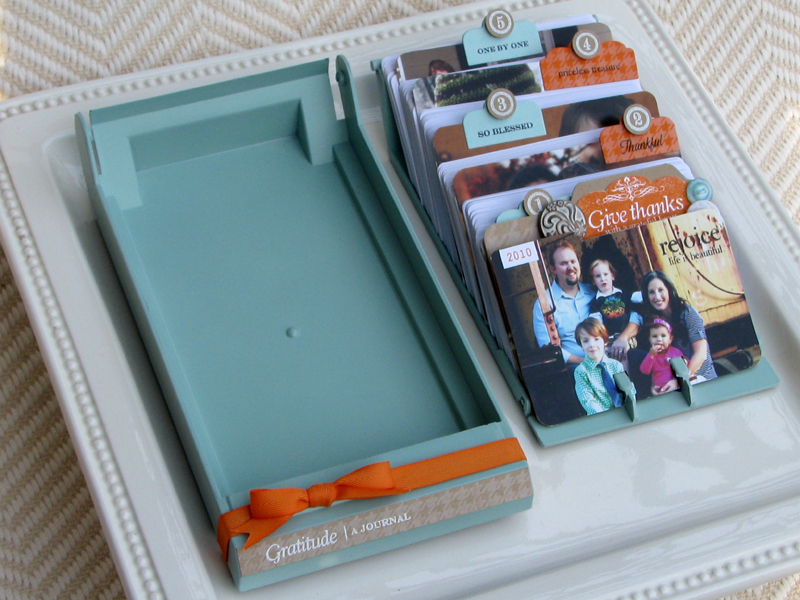 The Rolodex is awesome enough, but including the blank cards so that everyone in the family can share their gratitude was so smart. Are you for real??? Oh my word!!! Cutest thing I have ever seen!!!! Can I just pay you to make us one?? And... Who took your pictures??? Jessica...you should be famous!! Oh my word, this is so super cute. You did an awesome job. I love it. Love this idea. Your kiddos are getting SO big, by the way. Gorgeous pictures of them (and you!!!) It would be fun to do something like this when my kiddos are just a little older. What a great way to let them watch what God is doing in their lives! LOVE, LOVE this, chica! LOVE IT! The pages are very creatively made. Plus the family photos are great as well because everyone looks happy. Lovely photo of a happy family. I lovelovelove this idea! I will definitely be scouting our local thrift shops for an old Rolodex holder.